Small-scale fishing does little ecological damage, but keeping up with demand from the rapidly increasing population is placing ever-rising pressure on Amazonian fisheries. Most fish is caught on a small-scale and ends up in local villages. 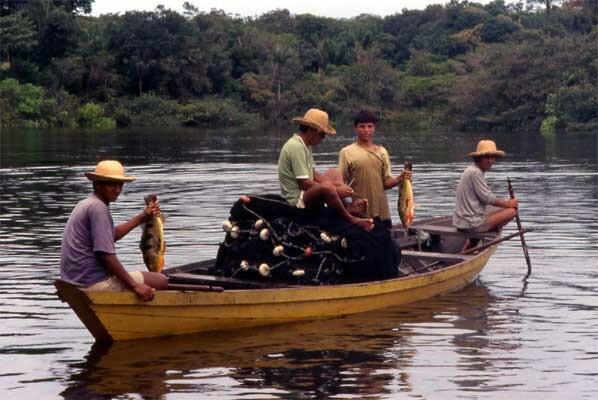 However, more and more fish is ending up in major city markets such as Manaus and Iquitos (see fish sellers). Significant tonnages of fish are exported outside the region. 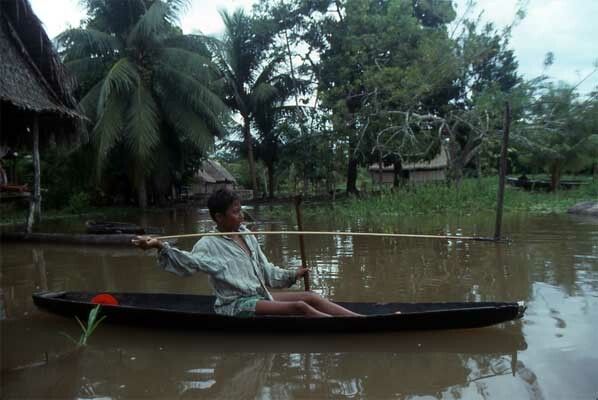 Around 30,000 tons annually are exported from Iquitos. 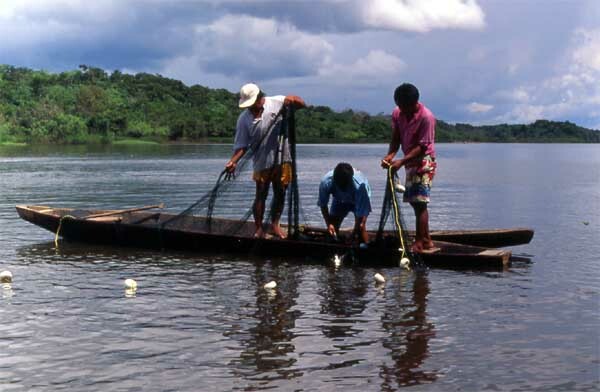 These fishermen on the Amazon main stream in Peru are using a net to haul in their catch. Gill-nets result in much larger yields than traditional spears or traps. Spear fishing is used when setting a net would be in impractical, such as near trees. The spearhead is three-pointed and barbed. A string is attached to the end of the spear allowing the fisherman to retrieve the catch after a successful throw. This method takes much practice to be effective and is not as widely used as net fishing.